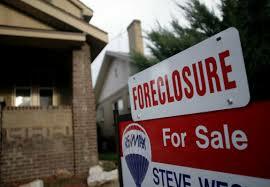 Foreclosure clean out is a huge deal. It involves a whole lot of labor and other effort to get it done right. Then, there’s the matter of cleanup, repairs, and disinfecting. Thereafter, you need to refresh the curb appeal. Only then, will the home be totally ready for showings. To get it on the MLS as quickly as possible, you’ll need a foreclosure clean out service to fast-track the process. Then, you can show it to sell it and put your focus on other listings. DIY or Hire a Foreclosure Clean Out Service? Now, you might consider doing it on your own to save money. But, that means having to deal with all the stuff inside and out. Which means a whole lot of sorting, recycling, and plenty more time and effort. Let’s face it, you don’t really have the time to devote to a foreclosure clean out. What’s more, unless you’ve done it many times before, you don’t know what to do in the first place. Then, there’s the matter of getting too much invested into an often problem-prone property. After all, that’s always the risk of listing and marketing a foreclosure. You can easily devote too many resources only to miss out on a good ROI. It’s done quickly. Make no mistake about it. A foreclosure clean out is a whole lot of work. In fact, it’s going to take far longer than you probably estimate. That’s time away from marketing your other listings, hosting showings, and other more productive activities. Avoid unpleasantries. Foreclosures are generally plagued with all sorts of liter — like old appliances, worn out furniture, and much more. These are also usually home to pest infestations and other unpleasant surprises. Enjoy a professional experience. The crew will know how to negotiate tight corners, awkward hallways, and any other obstacles which would otherwise make the clean out slow and arduous. All pertinent recycling regulations are met. There’s a misnomer about clean outs, which is the fact that it’s not really just throwing everything away. In some localities, there are recycling laws which must be followed. When you need a foreclosure cleanout service, phone 800-433-1094 or visit Junk Garbage Removal.